Taylor & Francis Ltd, 9780415212366, 304pp. 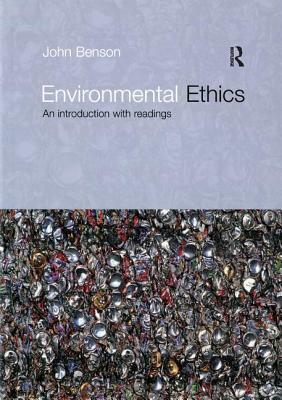 Presupposing no prior knowledge of philosophy, John Benson introduces the fundamentals of environmental ethics by asking whether a concern with human well-being is an adequate basis for environmental ethics. He encourages the reader to explore this question, considering techniques used to value the environment and critically examining 'light green' to 'deep green' environmentalism. Each chapter is linked to a reading from a key thinker such as J.S. Mill and E.O. Wilson. Key features include activities and exercises, enabling readers to monitor their progress throughout the book, chapter summaries and guides to further reading.